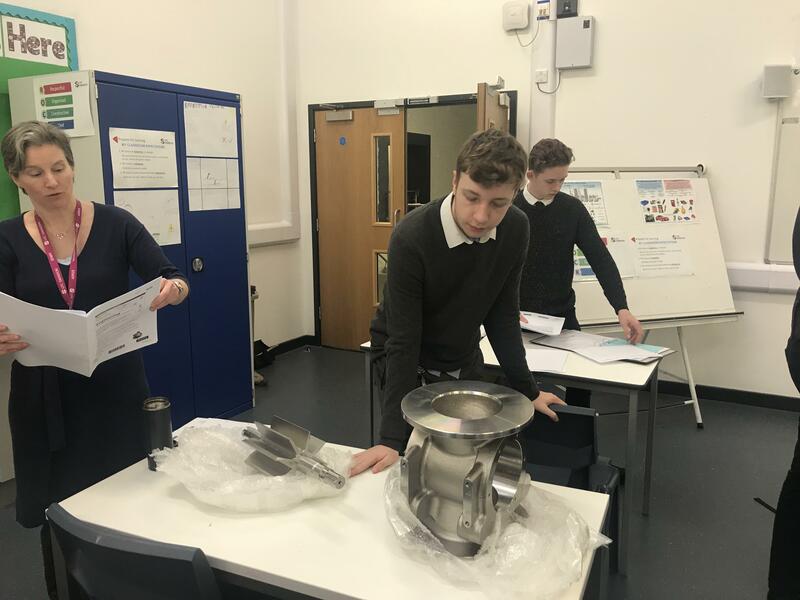 Last week Beverley and Paul went to see the students at UTC Swindon to get an update on how they're progressing with the design for the new exhibition valve. The work that was shown was amazing, and all are very impressed with the students work so far! 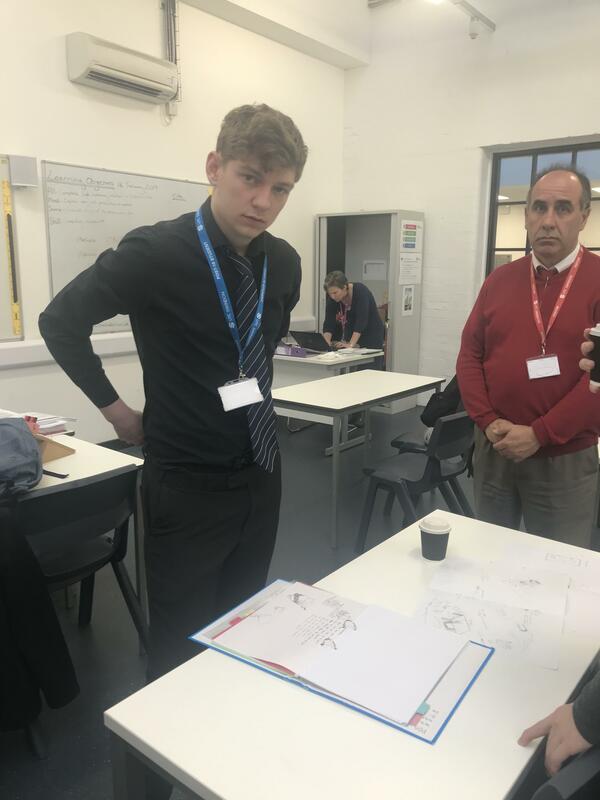 The students discuss their initial design concepts with PaulBailey, Technical Manager. 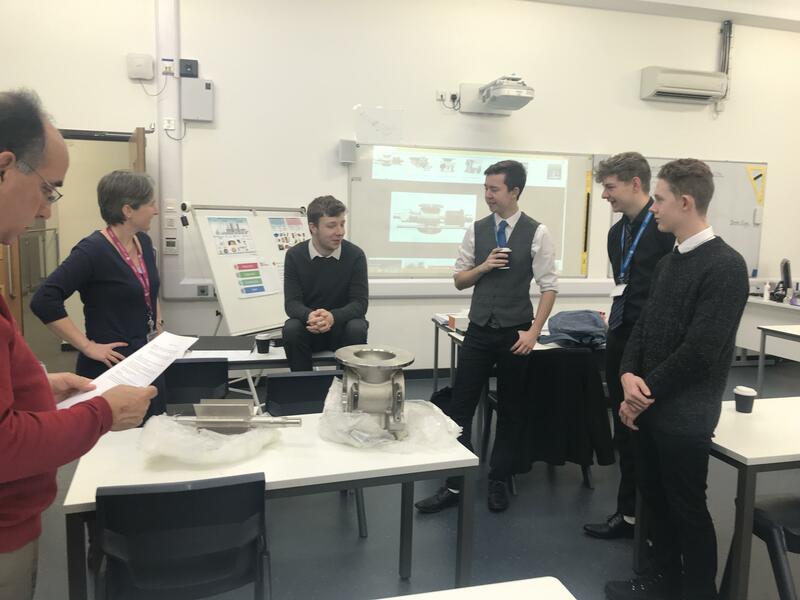 The students discuss the constraint to their designs,considering the weight of the metal housing and rotor.